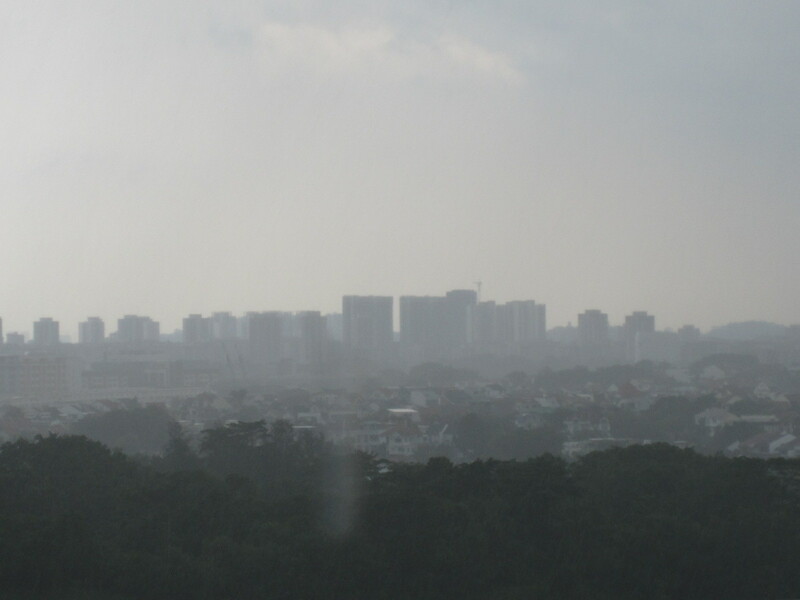 This few months, the haze from Indonesia has smog Lion City all over again. Our smoky heart yearns to see the bright sun and flashing star yet and again. On that day, through my window west direction, my friend finally arrived. He came from distant lands, dragging along in his left hand layers of thick dark clouds coming from the mountain. Trudging in his right hand a large rainy blow. Standing behind the window, awaken from my sweet drowse, surrounded with the sniff of the immense rain. With this timely arrival of breeze, I know the rainy season is not far away as it adds ease and bliss to my heart and a little gay. Friend, your name is “Autumn Rain”. Faraway overlooking from my balcony, I evidence your arrival. As the Chinese poem said, “ Rain comes from the wind”. Friend, swinging your sleeves left and right, disperses the dense smoke in our city and dispels mist in our spirits. Rainfall forms A beautiful Autumn. Your are not just my Friend, you are indeed a friend to this piece of Land. My friend, with you the land formats the four seasons, farmers gain their autumn harvest. My friend, thank you for your attention, and thank you for selflessly nourishing this barren land. This entry was posted in Prose / 散文 and tagged Arts, Cloud, life, literature, nature, postaday, Rain, Singapore. 23) Where is this place ? / 这是哪里? a lovely description. Autumn rain is a friend of all nature lovers.. Thanks for your comment, we all shared the blessing, cheer ! Your words are the voice of Gaia, our Mother Earth – clear and strong. Thank you! Thank you, I am glad you like it and thanks for stopping, may you be healthy and happy!